Carruthers chats about her meteoric rise up the British endurance running ranks, her coaching set-up, parkrun and the upcoming London Marathon. Hayley Carruthers is one of the biggest revelations in British elite distance running in years. Progressing from a complete novice of the sport less than 18 months ago to becoming one of the UK’s strongest endurance athletes gunning for a GB vest, her rise to the top has been meteoric. 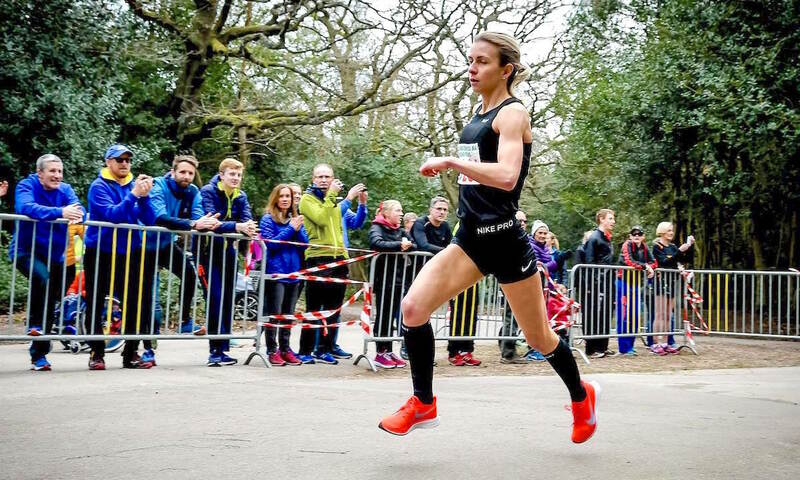 Now the Birchfield Harrier is preparing for the biggest race of her life so far – the London Marathon and World Championships qualifying event – with nothing to prove but everything to gain. 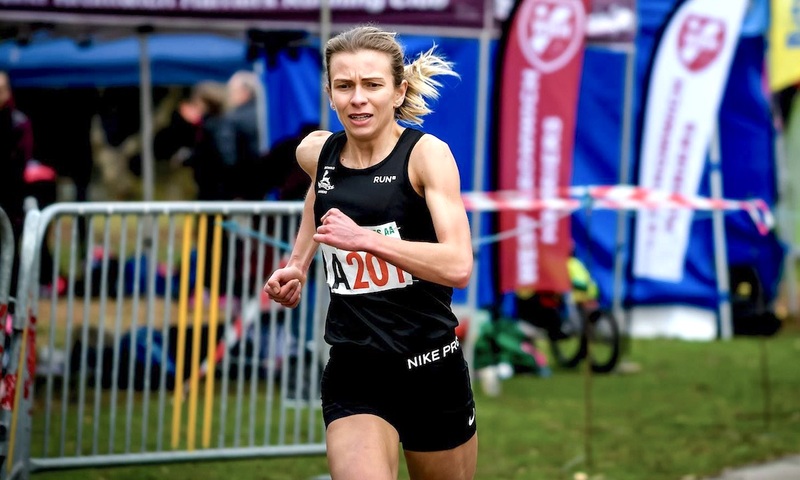 The relatively recent addition to one of the UK’s strongest clubs on the track and road was keen to run her best for the Harriers in the recent Midland Road Relays, despite being in heavy marathon training, and did so in style. Running the fastest long leg of the day by a massive 105 seconds, she was also more than two minutes clear of the next athlete on the first leg. Birchfield won team gold. 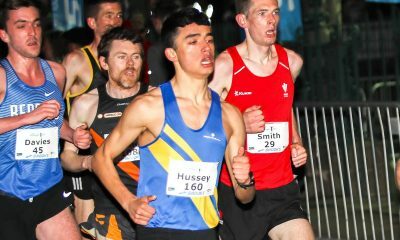 Proving her strengths lie not only over the long distances but are top class across the board, Carruthers ran a fine 9:26 in this year’s Armagh International 3k to finish ninth in a stacked field, and has also run seven parkruns between 16:14 and 16:47 in 2019. 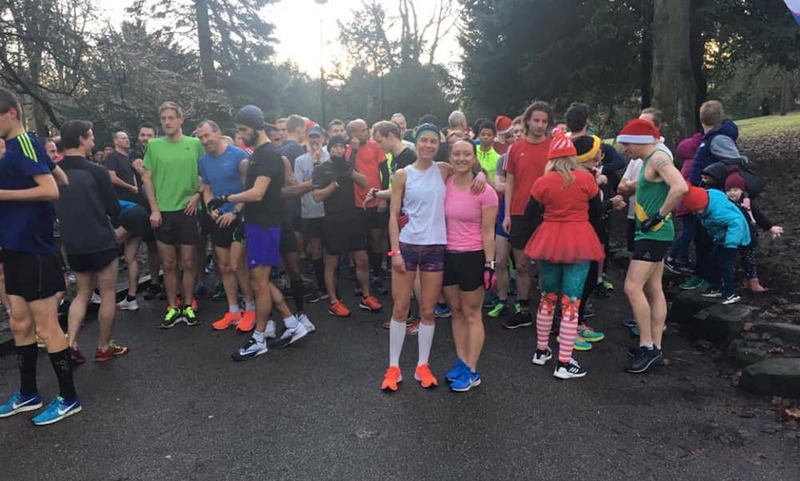 Her parkrun best is a lightning quick 15:59 recorded last December at her local event at Walsall Arboretum, the third fastest ever in the UK behind only Charlotte Arter and Jess Piasecki. With just over four weeks to go until she attempts to take the next step up in competition, how is Carruthers feeling about the exciting task ahead? “It’s my first time in this sort of environment and I know that a women’s only race could be a very different experience,” she says, referring to the fact this will be her first time on the elite start line in the London Marathon. “At the moment we’re just trying to get as fit as possible while staying healthy. There are some fantastic athletes with much more experience than me who, on paper, are favourites for the team. Many of those athletes Carruthers refers to who will be toeing the start line in London alongside her are the same big names she competed against at the recent Big Half Marathon. While the race was won convincingly by Charlotte Purdue, who retained her 2018 title in 70:38 ahead of club mate and Olympian Steph Twell and Welsh half marathon record holder Arter, Carruthers was just seconds behind in fourth. 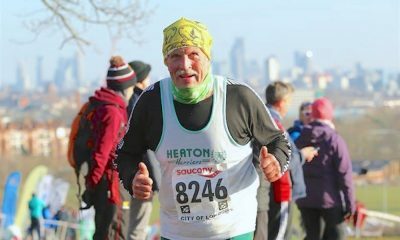 Her time of 71:57 was a near three minute PB, a result achieved in the middle of one of the windiest periods of the winter and with no specific taper leading up to the event. She explains what the race meant to her: “I hadn’t raced much in the build-up to the event, so, despite the weather I really wanted to make the most of it. Carruthers finished ahead of London marathon-bound Lily Partridge and Sonia Samuels, as well as her England team mate Helen Davies. While the ambitious athlete is obviously keen to do the same in the English capital on April 28th, she also hopes the top British women will work together going forward. The 25 year-old has gone from strength to incredible strength since joining forces with her coach, Dan Robinson, who is studying towards a PhD researching how to cope with fatigue in endurance sports, particularly marathon running, at the University of Wolverhampton’s Department of Sport and Physical Activity. An accomplished athlete in his own right, Robinson holds PBs of 31:18, 69:51 and 2:29:55 for 10k, half and full marathons. Carruthers met Robinson at her local parkrun last August when she was training for the Toronto Marathon. She would later go on to run a 2:36:48 13 minute PB in her first outing in an England vest last October (while still being coached by Gary Warhurst), six months after slicing a huge 35 minutes off her marathon time in London. Dan and Hayley’s first run together was at that same parkrun when he offered to pace her to her first sub-16:50 5k (she ran 16:46). The pair haven’t looked back since. “I am really happy and feel really lucky to have Dan as my coach,” Carruthers enthuses. “We quickly became pretty good friends and kept in contact from a sport psychology aspect. How does their coaching set up work so well? Pure enjoyment, happiness and having 100% trust in each other, says Carruthers. “We have a very relaxed approach and adjust the training accordingly on a day-by-day basis to ensure no burnout,” she goes on. “I never look at the next week of training because it used to cause me to worry about a session and that is exhausting in itself. As with any successful coach-athlete partnership, communication is key to continuous positive progression. “Dan soon understood what I was capable of, so, as I grew to trust him more, the anxiety around ‘performance’ in a session was quickly alleviated,” she explains. “He regularly says to me ‘just do what you can’ and that is generally a lot more than I think I can. We train together most of the time too as he’s also training for London! “I’m constantly in awe of his endless knowledge around coaching, training, physiology and psychology. “I’ve learnt so much in such a short space of time, especially learning to accept the good with the bad days and that it is what it is – you can only do your best and keep showing up. When asked if she thinks her full-time working set up puts her at a disadvantage compared to full-time athletes, she is quick to dismiss the suggestion. “It may be that in the future I take a break from this to put more time into running, but I don’t think it would necessarily be healthy for me to be a full-time athlete,” she says. It seems her coach is not just there to set her sessions and provide Carruthers with the best training partner she could ask for though. He is also there to remind her that she is not the first top athlete to juggle a demanding job with world class performances. “Dan is always banging on about how Ian Stewart (Scottish long distance Olympian) was the World Cross Country champion while working in a factory, so I definitely don’t think I’m at a disadvantage!”, she laughs. Another key element of Carruthers’ progression up the UK rankings at every distance from 5k to the marathon is parkrun. Running an impressive 17:40 debut in her first event at Walsall in December 2017, it quickly became clear to her that while parkrun could provide her with the ideal environment to get quicker over 5k, it was also a fantastic social enterprise for runners of all abilities. “Everyone there is equally important,” she summarises. “There’s just as much support for people getting round their first run as for people trying to chase a time at the front. I also believe it is such a great environment for people to start off in. You can push yourself but without huge pressure. Intriguingly, parkrun has also helped Carruthers deal with what she refers to as ‘imposter syndrome’ at major races when she is rubbing shoulders with Olympians and World Championship alumni such as Twell and Purdue. “While everyone is very friendly but focused on what they have to do at big races like the Big Half, as with any unfamiliar environment you experience some nerves and maybe a bit of imposter syndrome,” she explains. While Carruthers is not a lottery funded athlete – yet – she is grateful for the support she does receive from a number of avenues. “I’ve been really lucky to get help from a number of places and it’s well beyond anything I ever expected,” she says enthusiastically. “TFT Management have been great at getting me into races, while the kit drops from Start Fitness are like Christmas! 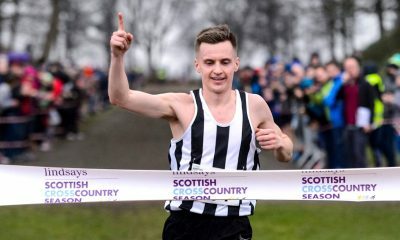 “I’m also fortunate to get some funding through the British Athletics London Marathon partnership, and the England Athletics Marathon Development Programme (which Dan is involved with at the University of Wolverhampton) is really supportive too. So how is this very grounded and humble athlete feeling about her London marathon training block now the big day is fast approaching? “This is definitely the hardest phase of training so far and I can feel pretty tired,” she says. “While I still do a lower volume than some other runners, recovery is most definitely a priority. It’s clear Carruthers has a tight knit support network around her and a coach who not only trains her but also trains with her, providing valuable encouragement and immediate feedback on a daily basis. When the 25 year-old toes the elite start line in London in four weeks time alongside her British counterparts, who, along with the formerly mentioned athletes include Tracy Barlow, Natasha Cockram and Tish Jones, she will be in just as strong a position as any of them to claim one of those world championship qualifying spots. Hayley Carruthers and Dan Robinson will be hosting a talk entitled ‘Psychological skills to improve your marathon’ at St Mary’s University in Twickenham, London on April 12. Tickets for the event can be booked at eventbrite.co.uk. Keep an eye on Fast Running for a follow-up piece on Hayley’s marathon training, the importance of sports psychology in staying mentally tough, and her strong emphasis on strength and conditioning for runners.